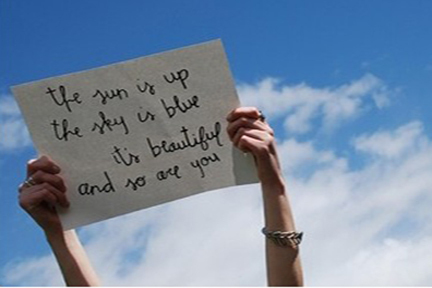 Rise and Shine Yoga is suitable for EVERYONE – those who are dealing with a health challenge currently, and those who just want to stay well. The class combines simple yoga poses, breathing exercises, and deep relaxation to increase flexibility, circulation, and overall well-being. A great way to begin your day. Open to all by donation. Extra mats and props available. Stress is a term used to describe nervous system response to change in the environment by Hans Selye in the 1930s. The term originally comes from the field of aerodynamics, and indicates the amount of force a metal can handle before it becomes damaged. Even earlier (1658), stress was defined as part of Hooke’s Law, which states that the magnitude of an external force, stress, produces a certain amount of deformation, or strain, in a malleable metal. Selye took this concept and applied it to the human nervous system. In the process, it got a little bit muddled, because what we are referring to in most cases is the “stress response” not the stress itself. The stress response is the reaction in our bodies to outside forces that disrupt our physiological functioning. The body craves homeostasis, so will react to these forces in an attempt to return to our original state of balance. For short-term stressors, this works very well. We encounter a predator, a danger, a perceived danger, we run, fight, or hide, and if we are successful, the predator is gone and we can return to balance, and a state of relaxation. Things get complicated in our modern human lives though. Stressors or perceived stressors come at us with increasing regularity, and we don’t necessarily have adequate time or mechanisms to recover our homeostasis, leaving us in a state of tension. Our bodies can only handle so much tension before tissues tighten up, potentially affecting the brain, spinal cord, and other body systems. 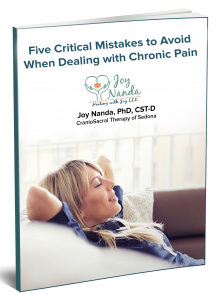 This can lead to all kinds of symptoms – including pain, stiffness, fatigue, anxiety, depression, or a sense of being “off” or not feeling quite right. 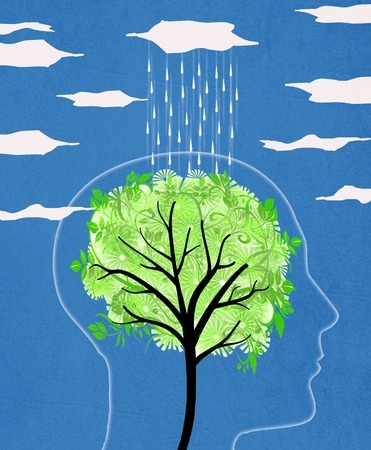 How Can CranioSacral Therapy Help with Stress? This short video shows how stress accumulates in the body, causing imbalances in various body systems, and how a CranioSacral Therapist can help to facilitate release of stress and a return to homeostasis. Instead of treating each organ in isolation, we facilitate the body’s own wisdom as it rebalances and restores itself to health. This is holistic healing in its truest sense. 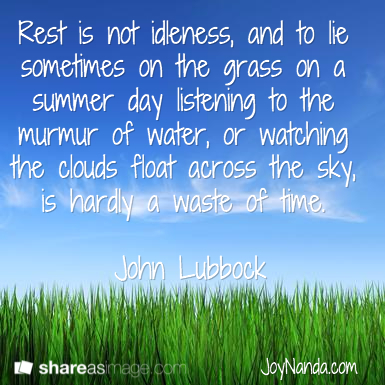 To learn more, go to HealingwithJoy.com. Up until now, I’ve been doing most of the designing myself, and been pretty satisfied with my work. What Virginia brought to the equation is a lighter, airier look. When looking through her eyes, there is admittedly a certain “heaviness” or highly structured look to my designs. This reflects the way I approach most things in my life. I tend to be pretty serious, organized, persistent, and strucutred. Well, I thought, why not try a different look? What’s the harm? After my first re-design session, I drove home in an energized and slightly agitated state. Hmmm…what’s this about? 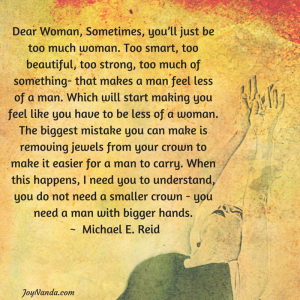 Thinking back, I realized that my earliest beliefs center around protecting and to some degree hiding my femininity. I used to think there were battle lines drawn in my family between the boys and the girls, and with four older brothers, my mother and I seemed grossly outnumbered, even after my little sister came along. My father especially failed to cherish my femininity. Going back another generation, I can see that his childhood gender equation was the exact opposite of mine – many older sisters who were perhaps not the most respectful of his masculinity. My father’s emotional attacks could come at any time, and I didn’t feel I could mount any defense or expect support from other family members. I depended on my own internal logic, stability and heavy freeze defenses to survive. Any lightness or unnecessary vulnerability on my part courted disaster, so I leaned to maximize the masculine qualities and leave the femnine to my girlfriends. Lately, I have come to understand that every human being has both masculine and feminine qualities, and full integration requires the safety to express and accept both sides. We are slowly learning as a society that the actual physical gender assumed by our physical bodies is only one point on a continuum, and we have squandered generations of potential by trying to force each unique individual into rigid boxes of male or female, often with disastrous consequences. As more celebrities and others come “out of the closet” or are exposed by scandal, we learn to bring forth and accept these hidden parts of ourselves as well. We owe these individuals a great deal, whether their example has been conscious or not, as it serves as accelerators for the release of generations and lifetimes of toxic shame and limitation. If we choose to learn from these events and apply them to our own internal processes, that is. As I delve into freeing up my feminine vulnerability and creativity, I find that a certain masculine decisiveness and action-ability are also coming into maturity. It’s an emotional mini-rollercoaster, but I find I’m enjoying the ride more and more! This process of self-discovery and liberation is at the core of the work I do with clients as well. Most physical dysfunction can be seen as a result of trying to freeze or encapsulate “unacceptable” energies within our bodies. As a craniosacral therapist, yoga teacher, or meditation leader, I serve as a facilitator of the battle between the parts of the self that have been restrained and the part that has been critical and restraining. Just by getting a more loving dialogue going between these parts, true healing can begin. At times, the outcome is nothing short of miraculous. This is what keeps me going, at work with you and at home inside myself. 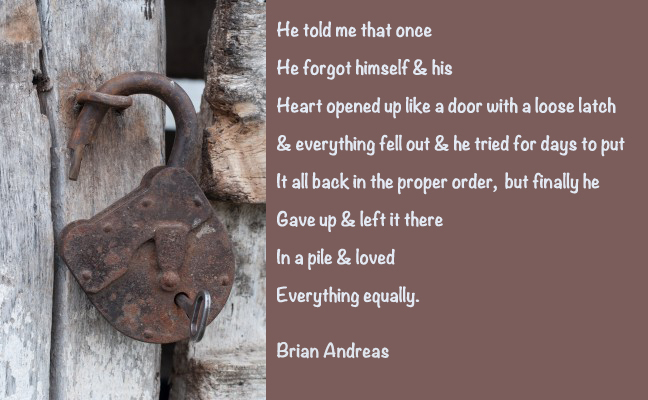 Just as I was posting this blog entry, I saw the poem above in my FaceBook news feed that seems appropriately related, and added a background to suit my new esthetic. 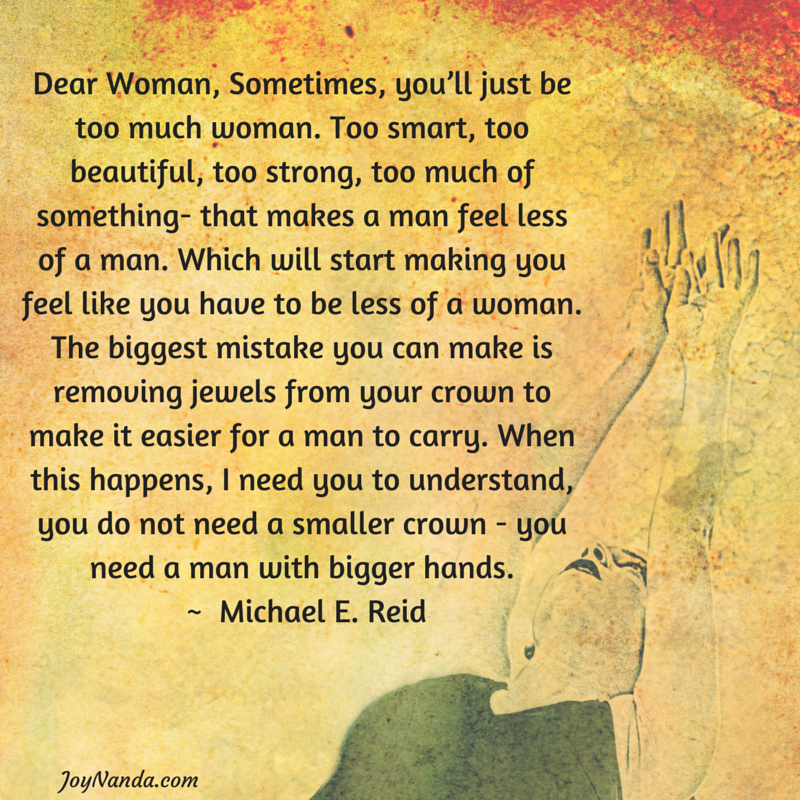 Not specifically father-daughter or societal, but we know that ALL relationships attempt to fulfill the same needs, don’t we? I think we’ve all gotten ourselves lost in rumination at one time or another, and it’s good to know that walking in nature takes us out of it in a relatively short amount of time. The participants in this study showed significant changes after a 90 minute walk. This didn’t happen with a similar walk through an urban environment, which is important to know because 50% of the world’s population lives in an environment classified as urban now and it’s predicted that 70% will be urban-dwelling by 2050. We will need to prioritize this need for exposure to natural environments in our urban planning, or suffer the consequences in a very real health-related way. We’ve been aware of the healing power of nature here in Sedona, of course. That’s one of the main reasons we live here! 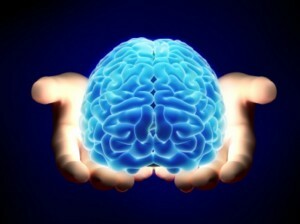 But it is interesting to see the benefit so clearly revealed with a simple form of brain imaging. If you are feeling low, like you are the center of the universe, and not in a good way (for example “everything I do turns out badly,” or some variation on that theme), go for a walk in nature. I guarantee you’ll see things differently upon your return, and this study helps us to understand why. If you are looking for a good hike in Sedona, here are a few of my very favorites! Clients often arrive in my office dealing with several different, seemingly unrelated health challenges at the same time. It can be very confusing and frustrating, feeling like everything is just…falling apart. Quite often, the problems have been building up over the years, until a symptom appears that is just too much to put up with, such as vertigo, tinnitus or TMJ disorders. I know that CranioSacral Therapy will help with these problems, but I also know that we may need to unwind a whole body full of dysfunctional patterns and old injuries to get to a new level of health in the system as a whole. This video, by CranioSacral Therapist and graphic artist Tad Wanveer, shows graphically how old injuries anywhere in the body can affect the connective tissue, the spinal cord and its nerve roots and the brain, transmitting symptoms to seemingly unrelated places in the body. 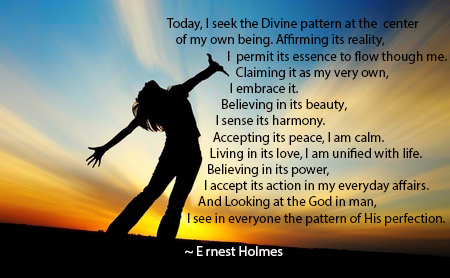 By gently releasing and untangling the restriction patterns, we begin to unwind the problems, one by one. If you are dealing with a complex health issue, or a combination of seemingly unrelated or “mysterious” issues, I would love to hear from you about it. The best way is to schedule a consultation. These problems can be addressed and I find that they always end up making sense. Take a look at my website for more information and a direct chat link. I look forward to hearing from you! How you do one thing is how you do everything. As you go about your day, reflect on your approach to movement and sensation. Are you allowing yourself to enjoy each moment? Are you slowing down to feel your body as you move, enjoying the journey and not just the destination? Mindfulness is focusing your attention on your emotions, thoughts and sensations in the present moment, accepting and not judging your experience. Where do you tend to focus your attention thoughout the day? If your attention was a pizza, for example, with slices labeled “past,” “present” and “future,” which kind of slice would be the largest? If you said “past,” chances are you tend to feel sad or depressed. If you said “future,” you may tend toward anxiety or worry. The bigger your slice of “present” pizza, the more you will experience peace and joy in your life! What kind of pizza do you want to have? The purpose of yoga postures is not just to mechanically stretch or strengthen the body, but to open the energy channnels and let the prana or chi flow. This flow is what enhances our circulation, induces healing, and reduces inflammation and stagnation. Yoga practice also brings to light thought patterns and attitudes lurking just below the conscious level that influence how we see the world and determine our experiences. With every pose, pause to observe the flow of chi in your body, and changes in the flow of conscious thought as a result of the physical challenge of each pose. This is the healing power of yoga on all levels – body, mind and spirit! Please comment below to let me know how you are doing with the practice, and also share any questions or concerns you may have. I love hearing from you, and I love to incorporate your questions and insights into future classes. Yesterday was a milestone day for me! 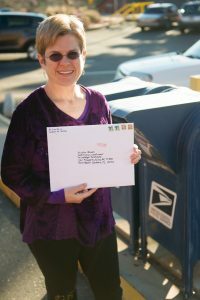 Here I am at the Post Office mailing in an essay exam I’ve been “more or less” working on for the last three years. It is known as the “CranioSacral Therapy Diplomate Certification” exam at the Upledger Institute, which is their most advanced certification level. The exam covers all aspects of CranioSacral Therapy and SomatoEmotional Release, and let me tell you, it involves some deep thinking as well as objective studies. One of the questions, said to be a favorite of Dr. Upledger’s, is simply “What is Truth?” What? Isn’t truth just…the facts? Turns out that’s not it! Truth is the authentically felt, present-moment awareness of each person I work with, to put it in a nutshell. Knowing this is the fundamental skill that lets me listen to whomever is on my table, without judgement, impatience or thinking that I already “know” what the problem is. It is the essence of what we do as CranioSacral Therapists, but it has taken a while to get this and the answers to 16 other questions into words, onto paper, and into the mailbox! I am very, very grateful for the support I have had through this process, beginning with Michael Mirdad, my spiritual inspiration at Unity of Sedona, who spoke to us as we welcomed in the New Year about taking care of “energy leaks” in our lives. These may take the form of projects or ideas that remain on the “back burner” for months, years, or longer. Quoting Yoda from Star Wars, “Do or do not, there is no try.” I began with smaller leaks around the house, such as misfiled papers, unpaid bills, and household debris that needed to be given away, fixed, or sent to recycling. Then, I made some phone calls I’d been putting off, decided to let go of some things that just weren’t happening, and then…there was the exam to deal with. With all the little stuff cleared away, it became much more clear that it was a priority. Thank you, Michael, for helping me see this! A special “shout out” to Joy Gabriel, who brought some beautiful new feng shui elements to my office space and helped me see new possibilities there in terms of color accents and clutter busting. 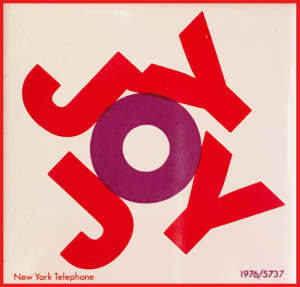 Now, we have even more “Joy” in that space, and the energy seems to flow over into the house, the yard, and every part of my life, where it continues to bubble cheerfully, now that I’ve plugged those aforementioned energy leaks. Next on my gratitude list is Ali Gabriel, my mentor and friend in Phoenix, who nudged me to come up with a deadline for completion of the exam. Mid-January seemed a bit ambitious, but once I started to plug away, it began to come together. Yesterday, I spent a few hours on the final draft, printed it out and headed to the Post Office. My friend and photographer extraordinaire, Drew Holman, joined me there to capture the event with his camera. What fun! If my essays are accepted, I will still need to pass a demonstration and objective test. Upon successful completion of all this, I would earn the letters “CST-D” after my name (CST without the “D” is the first level of certification), and join the four other diplomate certified therapists in the state of Arizona. I swear, this is more work than I put in for my academic degrees, but it is worth it. I learn new things at each level, and it feels great to be able to communicate about this amazing therapy. For now, it’s on to other projects, such as my book about meditation and the brain. And possibly something just for fun! Do you have projects or ideas on the back burner? How long have they been there, and do you notice what effect this unfinished business has on your energy level? Have you been able to let go of things that you “want” to do but don’t get to? Try it (start small if you like) and share how it feels in the comments below, or send me a message. I’d love to hear how it goes for you! A Gift from my parents, this tile still hangs on my wall. When I was born, my parents decided to name me Pamela, after my aunt “Panny,” whose actual name was Frances (close enough, I guess). My middle name of Joy was said to be a celebration of their first daughter (after four boys). I was told this story many times, but somehow I never felt that I lived up to the Joy part of my name. There was a lot of dysfunction in my family – PTSD, alcoholism, intermittent poverty, fighting, shame and unhappiness. I spent my childhood just trying to stay out of the way and not cause more problems. Joy never seemed to be a priority. 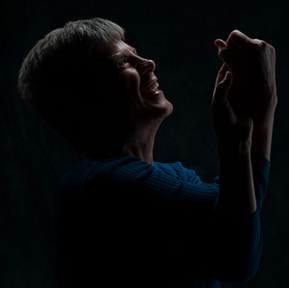 This is a legacy I have been working to release all of my adult life, and especially since coming here to Sedona, a place of incredible beauty, healing, and at least the potential for great Joy. Coming from a long line of Pilgrims, Puritans, and hardworking Dutch people, it has taken some time to realize that Joy is OK to have as any kind of goal in my life, let alone accepting that joy is actually the most important expression of the unconditional love that underlies all that we are and all that we experience. So, a few weeks ago, I felt a calling to reverse my names, and became Joy Pamela. I was not planning to do this when I went to a “spiritual baptism” ceremony at my church. As part of the ceremony, a few people got up and announced their new names and the spiritual reasons behind the change. As soon as I heard this, something inside told me it was time for me to “put the Joy first” and I got up too. If you had told me I’d be doing this before I arrived, I would not have believed it! Unlike Pamela Joy, Joy Pamela seemed to need a third name to complete it, so I searched for some other names for happiness. Ananda is the Sanskrit word for “bliss,” but that seemed like too much (too grand perhaps, and too many syllables). Nanda, on the other hand, means “full of joy,” and was also the name of one of the Buddha’s closest disciples. Some sources say he was the Buddha’s cousin or half-brother, and was known as a “can-do” kind of person. Yes! In the process of my name research, I also leaned that “Pamela” is a Greek name that means “made from honey.” I don’t know why I’d never looked up the meaning of my given name before. I thought it was just something I was stuck with, so why bother? One thing I’ve been learning this year is, there is nothing in my life that I’m “stuck” with! 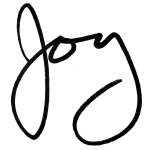 So that means the translation of my full name is now “Joy, made of honey, full of happiness.” Wow, that sounds just right for what I am envisioning in my life. I hope you don’t mind indulging me in this transition. 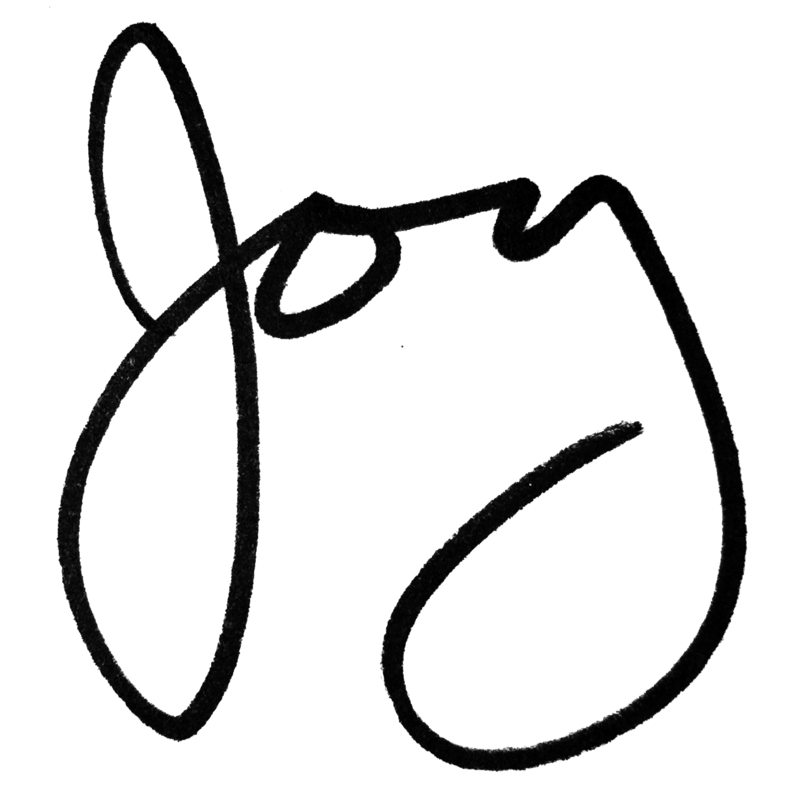 So far, my friends, family and clients have been so gracious about the change, and every time I hear myself addressed as “Joy,” I smile. What a beautiful statement about my life’s purpose! Brain Support is a Good Thing! This week, I had an opportunity to teach a class to students in the McLean Meditation Institute’s Meditation Teacher Training program about the interface of brain science and meditation. This topic is near and dear to my heart, due to my earlier studies in the evolution of human consciousness. Meditation is one of the three pillars of support for a healthy brain, along with structural bodywork such as CranioSacral Therapy and Neurochemical factors like nutrition, exercise, and sleep. Recent studies using functional MRI imaging techniques have shown in minute detail that meditation changes the actual physical structure of the brain, increasing thickness and brain volume in areas of executive control. This means that a regular meditation practice teaches us how to focus on what we want to see in our lives and to execute plans to achieve it. We learn to focus on the good, loving, and positive and consequently we develop those qualities in ourselves and attract them in others. I recommend that all my clients develop a daily meditation practice, and that my meditation students receive CranioSacral Therapy. The combination of attention training through meditation and releasing old stress and trauma from the nervous system and the tissues surrounding it can give us a whole new perspective on life and improve health almost miraculously. This was certainly true in my case. Stay tuned as I develop this topic into a book manuscript and further classes. I am very excited to be able to share this information with you. In the meantime, if you have friends or family in the Boston area (or will be there yourself on August 17th) check out the Community Wellness talk I’ll be giving at Sohum in Westborough, MA. 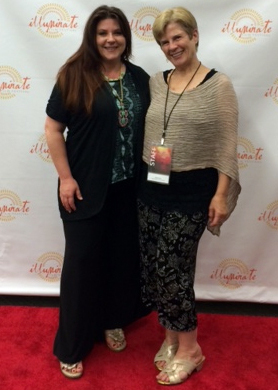 Some of you may have heard that I was part of Danette Wolpert’s “Dream Team” of volunteers putting on the ILLUMINATE Film Festival in Sedona last weekend. This was quite a commitment of time and energy, as I ended up coordinating the ticketing process for this first-time event. Ticketing is where the “rubber meets the road” at a Festival. Anyone who has ever run a “spiritual” or “conscious” business knows how delicate the balance is between “we are all one” and the boundaries necessary to maintain a viable business structure. Danette told me she thought I had the “right kind of brain” for this undertaking, which I took as a qualified compliment. It’s pretty much a left brain, masculine energy kind of job, and I have tended to alternate between these intellectual projects and more right-brain, feminine energy things like CranioSacral Therapy, yoga, meditation and dance. Over the years I’ve realized that we all need a balance between the left and right cerebral hemispheres. As my meditation practice has progressed, I find that I step back fully into the intellectual mind only for very worthy projects such as this one (twenty years in academics was long enough in that mode for this lifetime!) The mission statement of ILLUMINATE is to “introduce film as a modality for healing.” The Festival included 20+ films that fall into the mind-body-spirit genre of conscious cinema, and it is the very first of its kind in the world. Many of the films were paired in a “view-and-do” combo with interactive, experiential workshops. I could not resist contributing my brainpower (such as it is) to this fantastic enterprise! As the smoke was practically coming out of my ears (there were so many different levels of participants, all with different “VIP” or “Industry”-type badges and ticketing options), I saw my dear friend and Art of Feminine Presence teacher, Sally Reeves Conway, who was there to present a workshop on “Conscious and Passionate Presence in Relationships.” I couldn’t resist the opportunity to pose with her on the ILLUMINATE red carpet (and the “step-and-repeat” background behind it – oh, the new terms I learned behind the scenes!) for a glam photo-op. Thank you for your beautiful, feminine (AND powerful) presence, Sally, and thank you Sedona Virtual Assistant Laura Schappert for snapping the photo. Not too many of the people I know out here in Arizona are aware of my story before I made the move from Ohio nine years ago. The first week of May has been a time when I look back with sadness and regret to a very difficult period in my life. Six days after our 12th wedding anniversary, on May 7, 2005, my husband ended his life, and I felt my own life basically come to a screeching halt. Everyone tries to tell you it’s not your fault when something like this happens, but in fact we humans are hard-wired to search and search for what we could have done differently, if only we’d known. Especially if you consider yourself to be a healer who can help people with their problems. I have been moving slowly through my own recovery process over the years, but I would say things accelerated greatly in the healing department in the last year or two, thanks in large part to my wonderful meditation teacher, Sarah McLean. 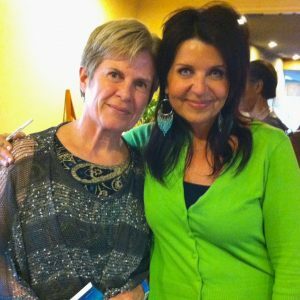 She helped me establish a solid daily meditation practice, and last year I completed her first professional training for meditation teachers, right here in Sedona. Sarah is one of those teachers who keeps on giving, way beyond any tuition you might have paid. 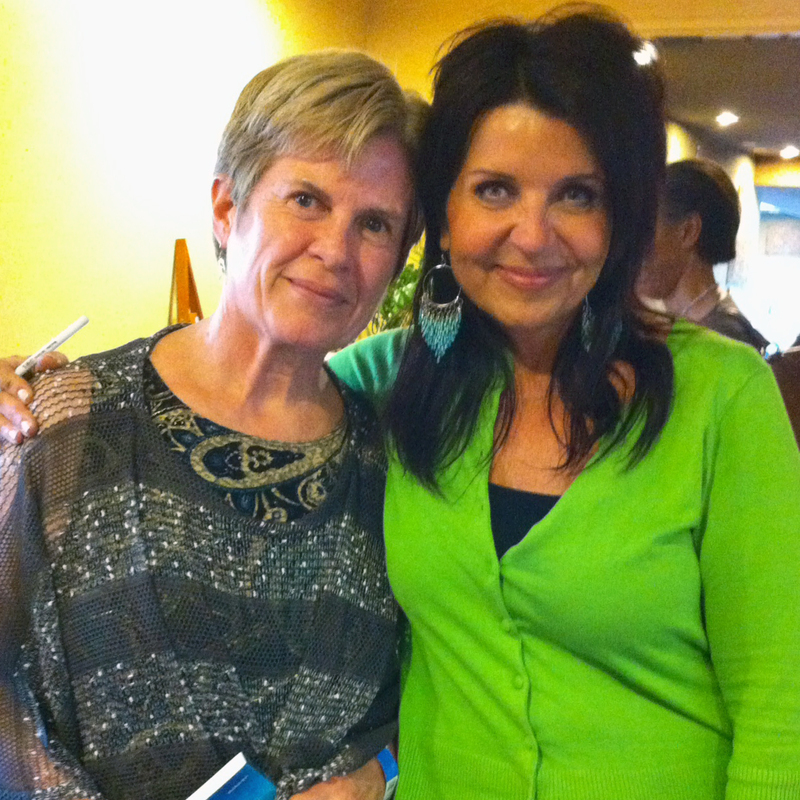 A couple of weeks ago, she invited me to her program, Woman Arising, and I knew I had to go. What an amazing event, and such a rewarding way to let go of this old grief that comes up every May. Each speaker was completely, perfectly radiant in her own way, and I so enjoyed being in the loving support of the mother. Sarah really knows how to connect women who can help, support and empower one another. Thank you, Colette for your amazing gift, and Sarah for bringing us together. And thank you Laura for coming with me and taking this photo. I feel it commemorates the closing of one chapter of my life and beginning of another. A torn rotator cuff occurs when the small muscles that hold the shoulder joint together tear. Traditional medical treatment starts with putting the arm in a sling and taking painkiller or muscle relaxer drugs. This “conservative” treatment often fails, leading to trials of corticosteroid injections and finally, surgery. It can take a year or more to fully recover from rotator cuff surgery and resume normal activities. In my practice, I have worked with people years after rotator cuff surgery who do not have full and complete range of motion in the affected should joint. It is difficult to let the shoulder joint rest completely. In addition to the many activities we use our arms for, the weight of the arm is constantly pulling on the shoulder joint when standing or sitting, and we put weight on our shoulders when sleeping on our sides. It’s a very busy joint! I was very interested to learn about a very effective exercise program put together by doctors at the Vanderbilt University Medical Center. Called the “MOON” program (Multicenter Orthopedic Outcome Network), it combines range of motion, flexibility, and strengthening exercise. When performed properly and regularly, this program is 85% effective at avoiding surgery, based on a trial of 452 patients with rotator cuff tears. Although recommended for use with supervision by a physical therapist, you can download the entire program (booklet and video) at moonshoulder.com. Most of my clients are very hesitant to seek surgical solutions for injuries or problems. If you have been diagnosed with a rotator cuff injury, I recommend looking in to this exercise program, and at the same time, getting some good bodywork or yoga therapy to examine the holding patterns in your body-mind that have lead to this particular area of the body being vulnerable. The two together make a very strong non-surgical alternative that is worth investigating. 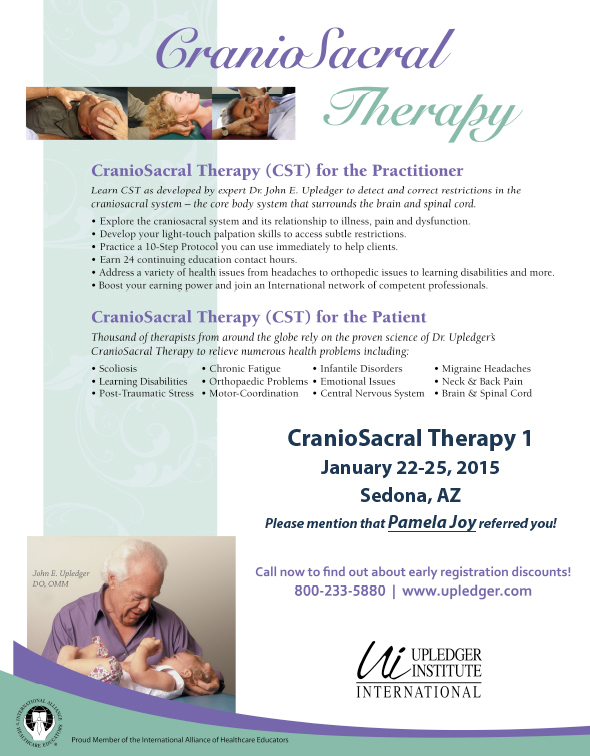 Sedona CranioSacral : Is CranioSacral Therapy Like Reiki? Clients often ask me if I am “doing Reiki” during a session. A large part of what we do as CranioSacral Therapists is what Dr. Upledger called “Direction of Energy,” so I knew there were some commonalities with Reiki Therapy, but I wanted a closer look so that I could answer this question more accurately. So when my friend and Reiki Master Carla Trujillo offered me a spot in her Reiki 1 and 2 classes last weekend, I jumped on it! What a wonderful experience, and now I can answer with confidence that my work does, indeed, have an element of Reiki in it. What the Reiki classes provide is a beautiful and loving frame for the energy work, from a Japanese perspective. By incorporating Reiki principles in to my daily meditation practice, I will enhance the energy work that I do in every CranioSacral session, and the results will be that much better. 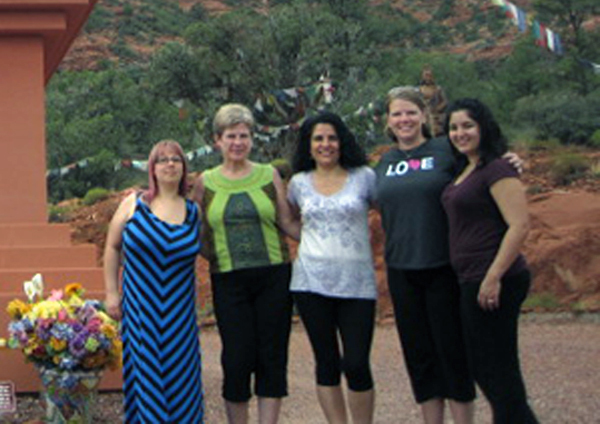 Here is our Reiki 2 class on a field trip in Sedona. Who can name the location? Too easy for locals, maybe, but if you came to Sedona on a visit, you may not have seen this wonderful local resource. 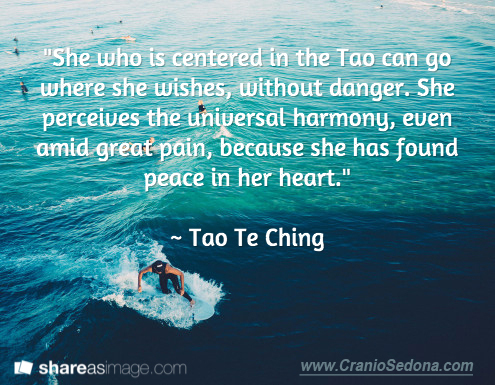 If you have experienced both CranioSacral Therapy and Reiki, how similar do they feel to you? Leave a comment below. 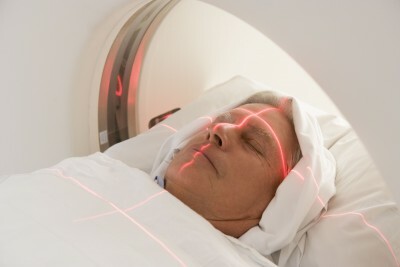 What is a CT scan, anyway? It is an imaging technique that uses a computer program and lots of x-rays from different angles to create thin “image slices” of the body. When the slices are put back together, they give a very accurate 3-D representation of the inside of the body. This can be very helpful in avoiding “exploratory” surgery when a diagnosis can’t be determined from symptoms alone, or to screen for heart disease, for example. We have learned so much about the human body, and especially the brain, through the use of CT. But the test itself is not without risk, and it is estimated that 20-50% of them are medically unnecessary. The best way to avoid these tests? Live and eat healthy enough to avoid them, be aware of what tests are being performed and exactly what benefit they provide, and be sure you understand the risks (which are not always fully communicated). This is especially important for young people, whose risk is even greater due to the long development time for most cancers. What if you’ve had these tests already, and are worried about your risk? It’s the same advice – live and eat healthy to minimize any further risk. When we do SomatoEmotional Release work as part of CranioSacral Therapy, we help the body to release any foreign energies that are stored in the tissues. Traditionally, we’ve thought of these foreign energies in terms of impacts from things like auto accidents or falls. As he developed the concept and worked with more patients, however, Dr. Upledger realized that Energy Cysts can also occur from the effects of surgery, infections, exposure to toxins, emotional trauma, medication, and even excess radiation. By releasing these energies, the body is restored to more optimal functioning. Of course, no one can predict the effect of a single event or type of healing on one person’s risk of developing a disease. Because each path is unique, we can’t assign a statistical probability to the outcome, and I’m not saying that CST or any other healing technique can completely reverse a carcinogenic process started years or decades in the past. In CranioSacral Therapy, we are only allowing the “Inner Physician” within each of us to lead us on to the path of highest good. Combine that with a healthy lifestyle and informed vigilance when it comes to potential side effects from medical treatments, and then just enjoy your life today! Today’s post has not much to do with any of my usual blog topics. It’s a holiday, so why not a “fun” topic? Who remembers what song these lyrics are from? And who knows the story behing the song (according to Mia Farrow)?